Oxford Pharmascience Group Plc uses a range of proprietary technology platforms to re-develop existing medicines to make them better, safer or easier to take. The Company does not manufacture or sell its own pharmaceutical products direct to consumers but instead seeks to license its technologies and dossiers to a network of partners, mainly leading pharmaceutical companies with Rx (prescription) and OTC (Over the Counter) branded portfolios. 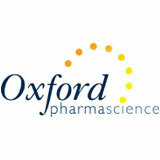 Oxford Pharmascience Group Plc focuses on existing medicines that are proven to be safe and effective but nevertheless still have associated issues and side effects often affecting compliance. By working with such medicines the Company is able to develop new innovative products for a fraction of the cost, in much quicker timescales and without the high risk of failure associated with developing new drugs.